Welcome to Color Girl, Now Even More Colorful! I want to welcome each of you to the newly expanded Color Girl Quilts. I hope you poke around the shop a bit. There are some really fun new things to see and to make and to inspire! As you know, I have been designing and writing quilting patterns for several years and I am so grateful for the amazing response and support I have received from the quilting community. I am at a point now where it seemed natural to expand beyond patterns in some way. 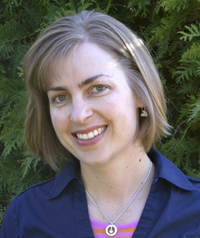 I thought a lot about where I wanted to go and what my life as a “career” quilter meant. It’s important to be useful, to create something and share interests and ideas with others. Color and fabric and pattern are my passion. I feel happiest when I am surrounded with these things and MAKING! Sharing that joy with other quilters is the goal of my new shop. Color Girl is small right now (I am a one girl circus!). It takes a lot to get started (even though my ideas are big! ), but I have a great selection of colorful fabrics, prints and quilting patterns that I hope will inspire you Colorful Quilters like me. Keep checking back to see what’s new. Since it’s hard to predict how things will go, I’ll be adding more all the time. 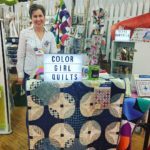 Color Girl is “Sew Colorful”. 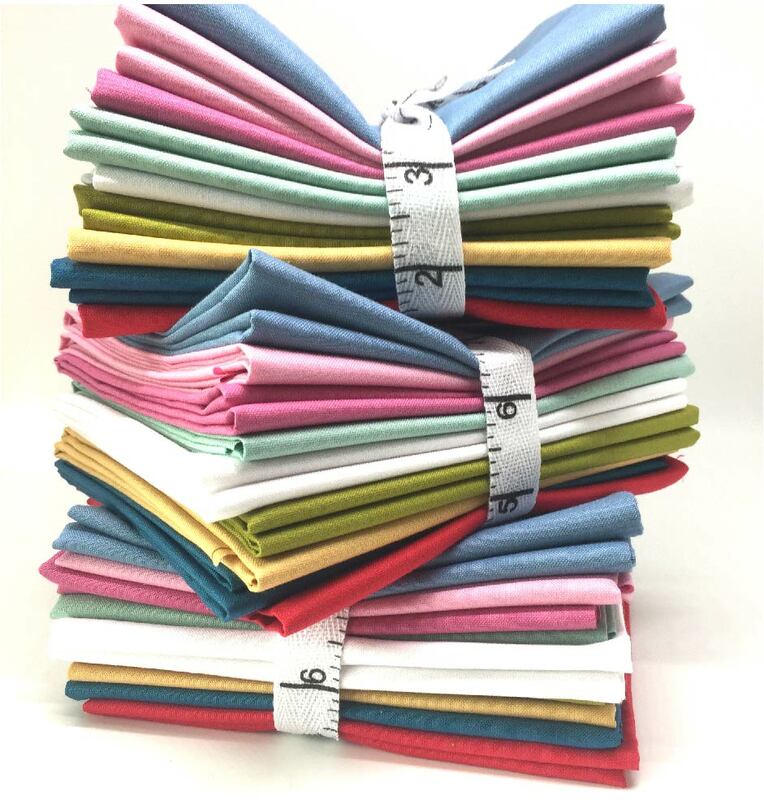 All of the fabrics I have on the site are chosen by me because I would sew with them myself and I think they would look amazing in a Color Girl quilt pattern (or whatever you come up with to make!). You won’t find many entire designer collections here. You WILL find wonderfully curated bundles of prints and colors that look fabulously coordinated, yet scrappy. Fabrics that you will want to cut right into and MAKE something! I am excited to offer kits for some Color Girl patterns. You know I absolutely love choosing fabrics, so if you like the way my quilts look, you’ll love my kit ideas. For my first kit, I have decided to try something different. 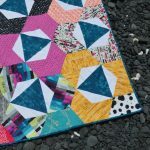 The Aurora starter kit includes the white fabric, solid colors and pattern you need to make the baby size (45″ x 46″) quilt, but you get to finish the kit by choosing the print bundle you like best to go with it. 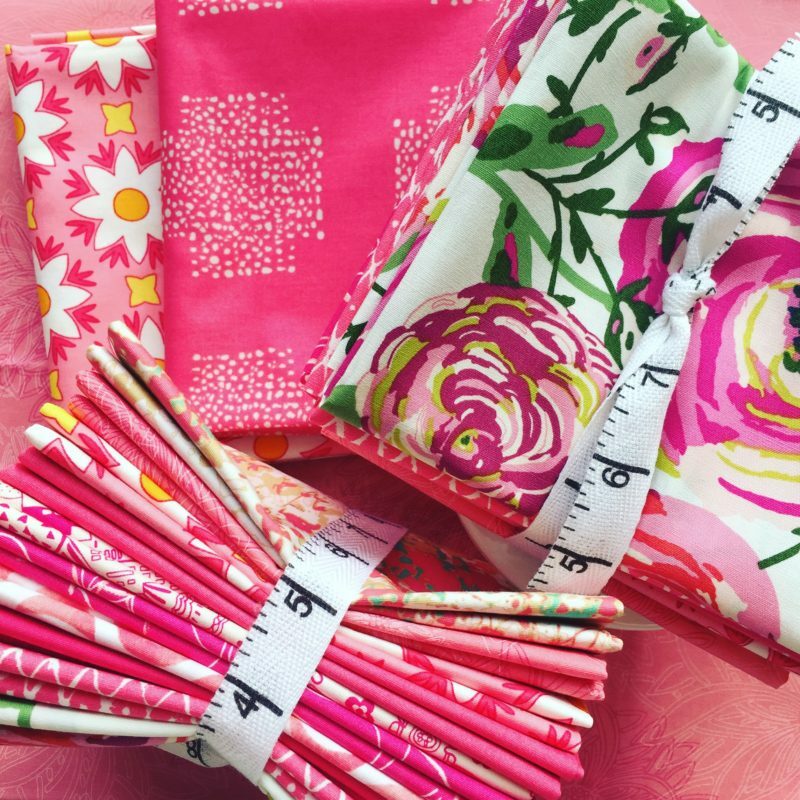 Each of the print bundles you can choose include beautiful feminine prints by Tilda Fabrics. You’ll find the Aurora starter kit and links to the coordinating print bundles, Here. 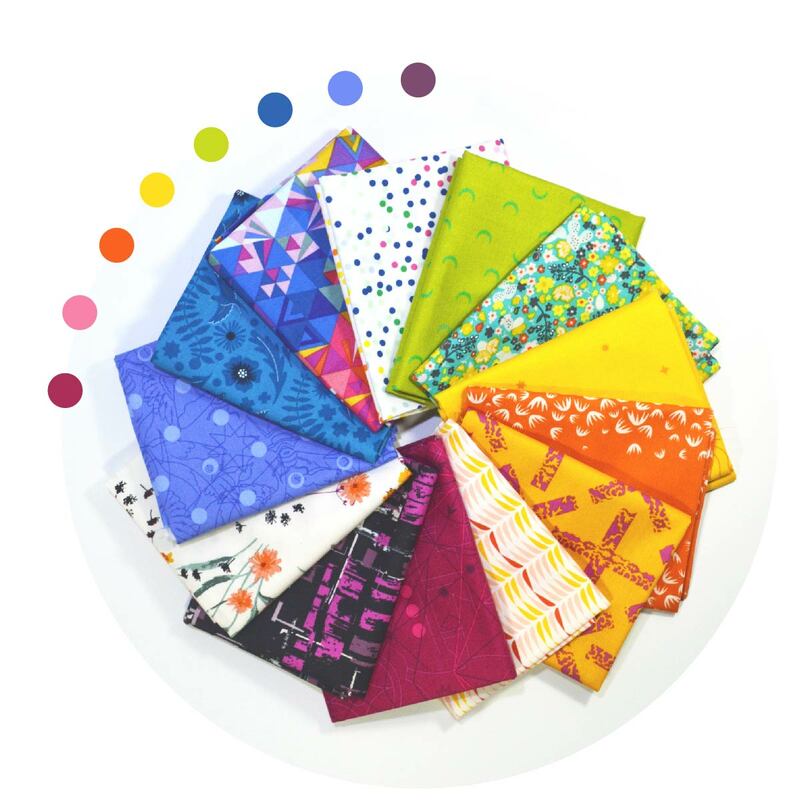 If you want to make a larger quilt than the starter kit offers, purchase the full Tilda Lemon Tree bundle, coordinating solids bundle, and the Aurora pattern (you’ll need to add white yardage). 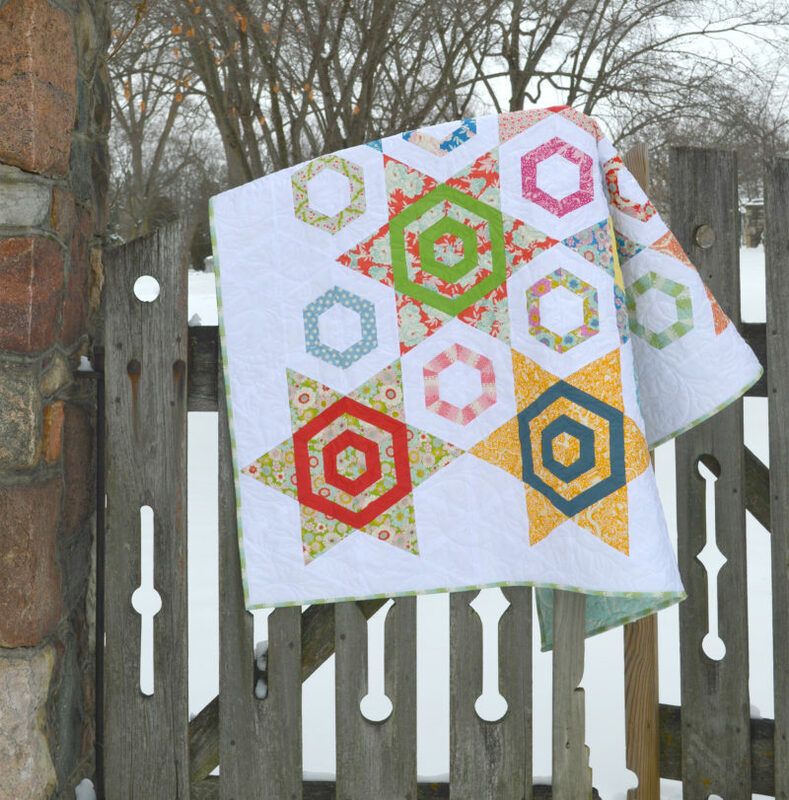 The quilt below is a sample I made with the Aurora starter kit and Lemon Tree prints. Finally, it is so important to me to provide great service. Please don’t hesitate to get in touch if you have an idea, request or question on a pattern. I love to see what you make and I am happy to help if you get stuck. Please be patient with me and with the website as we get the shop going. Thank you for visiting Color Girl this exciting day! All orders include a Free Gift. I can’t wait to see what you make. This adventure has been so much fun to plan, and I hope you enjoy what I have chosen as much as I do. Look on each fabric sale page for a suggested pattern to make with those fabrics. Be sure and share what you make! 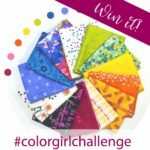 Use #sewcolorgirlquilts and tag me @colorgirlquilts on instagram and post on the Color Girl FB page to share your makes. I’m on the Radio! Let’s Chat. Congratulations on adding fabric to your shop. I would love for you to add a bundle of polka dots. I have the Bikini Dot pattern but have yet to attempt to make it. Love the polka dot fabrics in that quilt. Congratulations! You have some pretty bundles in your shop! Congratulations! Your fabric combinations are beautiful. I’ve been quilting for a long time, and while I consider myself pretty good with colors, occasionally I NEED HELP! Your groups are just what I’m looking for. Good luck with your business. I owned a Stretch and Sew years ago and loved it, so I know how tricky business can be.